(c) $f(m) < f(n)$ whenever $m < n$. The book uses induction to solve (though I couldn't understood that). Have I correctly attempted it? And is it possible to include induction anywhere? Last edited by skipjack; February 4th, 2019 at 12:31 AM. Condition (b) doesn't use the wording "only when". What exactly do you find hard to understand in relation to mathematical induction? Condition (b) in question implicitly telling 'only when'. Suppose I want to check my answer through induction, then how do I? Can you provide steps? Last edited by skipjack; February 4th, 2019 at 02:58 AM. The problem's wording isn't intended to mean "only when". 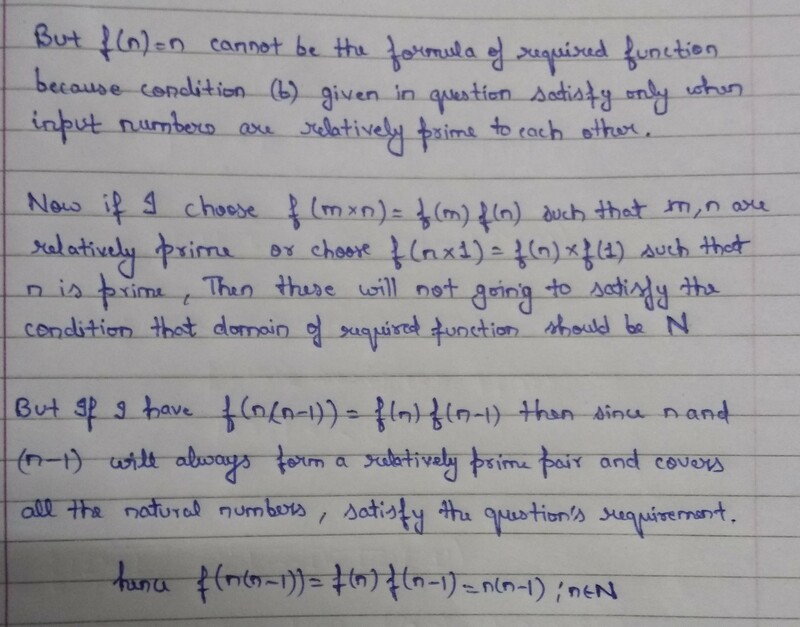 The problem leaves it to you to determine whether $f(mn) = f(m)f(n)$ is also true when the given condition isn't satisfied. 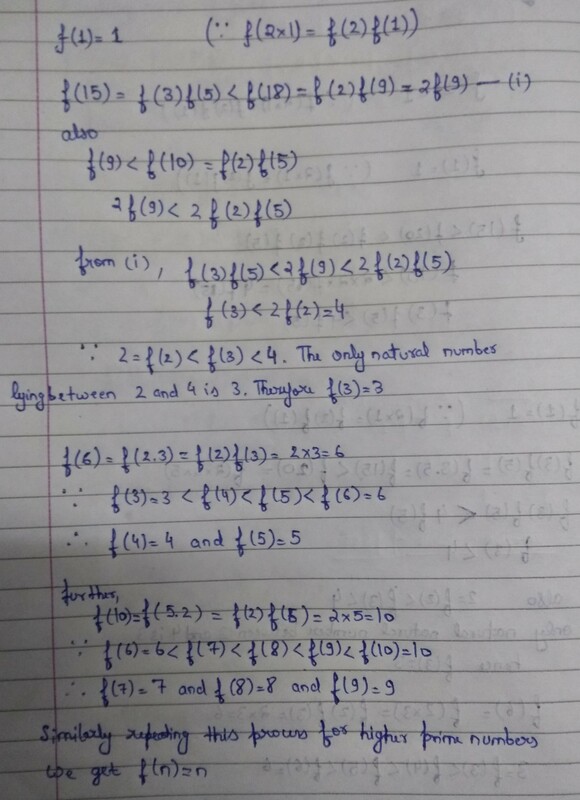 Mathematical induction is a proof technique.